Ameristar air conditioners provide the cool air your household needs while our heat pumps work to deliver pleasant air temperatures year-round, all at an ideal combination of capability and affordability. 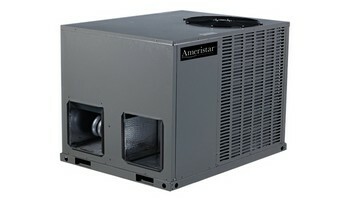 Ameristar units achieve efficiency ratings up to 14 SEER. Designed with value in mind, your Ameristar furnace uses natural gas or propane to keep your home warm during the winter and circulates cooled air to every room in the summer, keeping you comfortable year-round. Ameristar packaged units deliver quiet, consistent heating and cooling for your home at an affordable price. Built to last and designed for year-round efficiency, they’ll keep you cool in the heat of summer and warm on wintry days. Ameristar furnace installations are fabricated and engineered by professionals. That truly know what they are doing. These furnaces are just Unstoppable. If you are looking to install a new system in your home. Think about installing a new Ameristar high-efficiency furnace. When installing a Ameristar furnace make sure if you're getting the right size furnace. That will properly heat and cool your home. Make sure you check the square footage of your home. Remember for each 400 square feet of your home. You will need 12000 BTUs which is equal to 1 ton of cooling. So if you have 1200 square feet you your home. 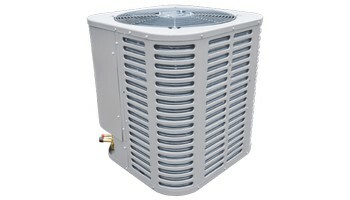 Venue know that you're going to need a 3 ton air conditioning Forced air system. And the furnace that's going to push out 3 tons of air for proper Cooling. When you install an Ameristar furnace. You are installing a system that you can always rely on 24/7. These Ameristar furnaces are built to last decades. Make sure you service your equipment every season. Get forced air systems cleaned and checked. You will get longer life for your equipment and save money everyday. For high efficiency systems. install Ameristar furnace today. Ameristar furnace install that you can be proud of. When Tempstar furnaces are properly installed they can be one of the best furnaces that are out there today. Compared to the highest efficiencies. The warranties on a Tempstar are 10 years on parts and 20 years on heat exchanger. These systems are very reliable. We rely on Ameristar furnaces to keep us warm. But they rely on us to keep them clean. Get them clean and checked every season. So they can work more efficiently for you. They will have a longer efficiency life to keep your family warm and comfortable for many years to come. Azrikam has been servicing repairing cleaning and checking these systems for over 20 years. These are systems that you can rely on. There's a lot of things you have to understand before you put in the furnace. There's a lot of measuring the square footage understanding what the BTUs are. Whether it's heating BTU's of cooling BTU What efficiency is and the difference between 80% and 95%.There's a lot to know before installing an Ameristar furnace. 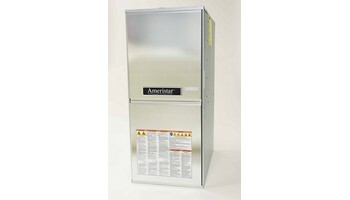 Ameristar furnace equipment is what you should install in your home. If you want comfort reliability. To know that when you need warmth in your home. Installing an Ameristar furnace will give you that comfort.